This versatile filing unit is constructed from a beech laminated wood shell outer with 12 heavy duty corrugated board compartments. 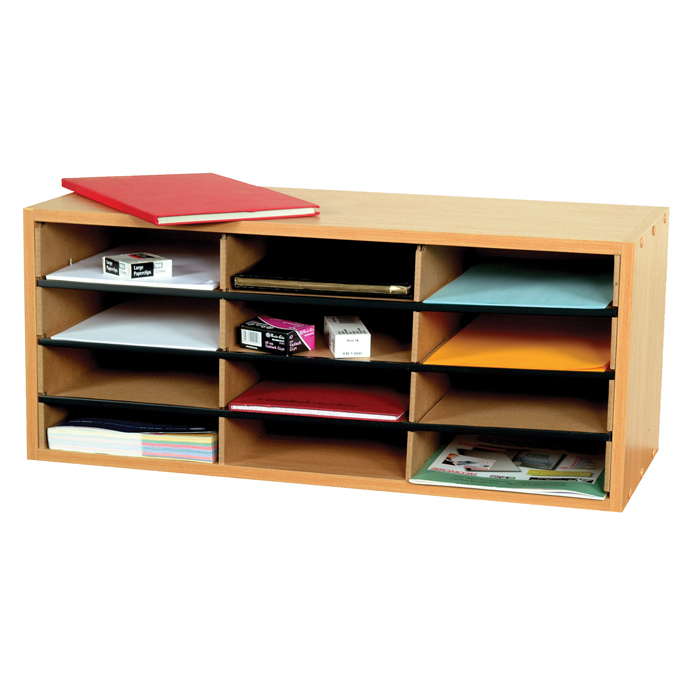 This strong and attractive unit is ideal for sorting and collating a variety of office supplies and A4 size documents. Each pack includes self-adhesive labels and plastic edge guards. The unit is supplied flat packed with simple assembly instructions and full fixing kit included.